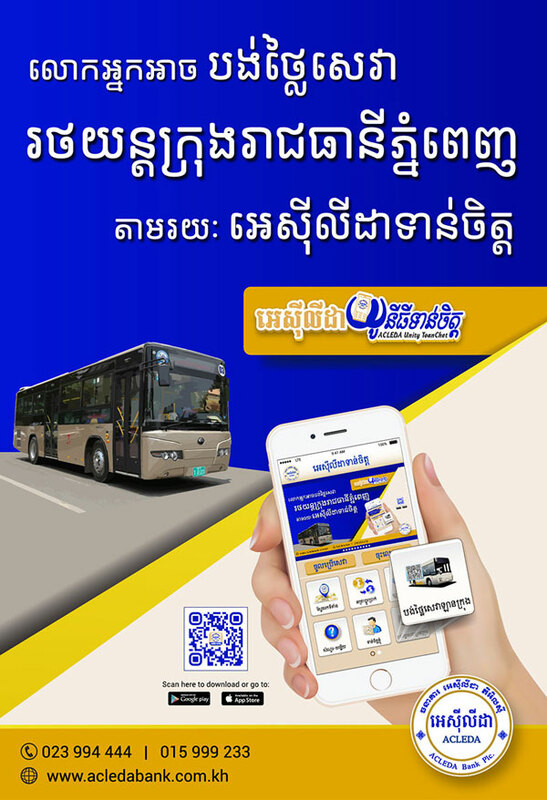 Preah Sihanouk Provincial Court has charged eight people suspected of violating criminal and traffic laws after they were arrested during a land dispute protest on National Road 4 in the province’s Prey Nop district last week. 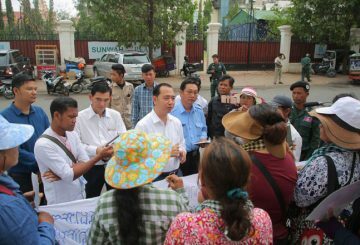 About 200 people protest for their land dispute with the Phnom Penh Sugar Company. 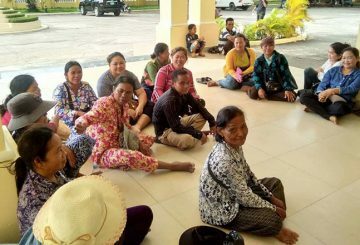 Kiri Sakor representatives push the Environment Ministry for a speedy resolution. 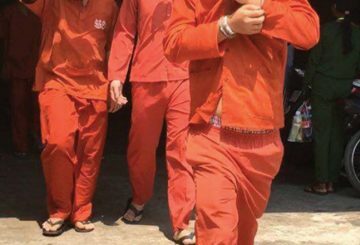 11 people are sent to court over allegations that they incited villagers to occupy state and private land, official says. 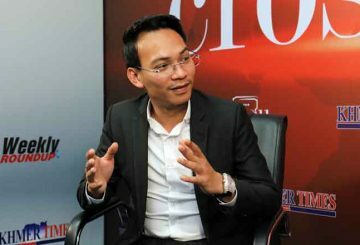 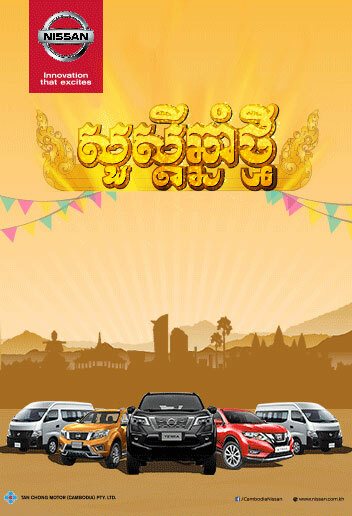 The Supreme Court yesterday issued a statement responding to criticism made by Khmer Rise Party president Soksovann Vatanasabung over the handling of a land dispute in Preah Sihanouk province. 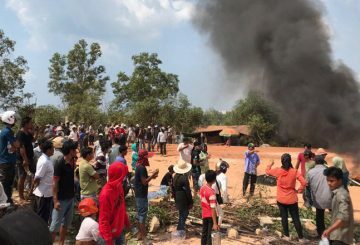 PM threatens to remove a commander and deputy governors over land dispute violence. 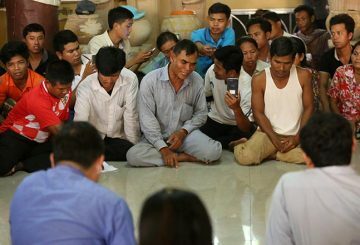 Four provincial military police officers are made to write statements accepting blame over the violent land-dispute crackdown. 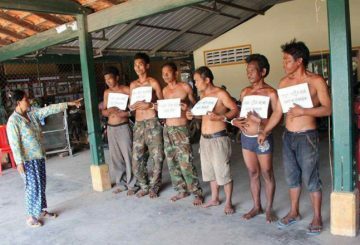 A soldier, who was involved in a violent land dispute crackdown is suspended. 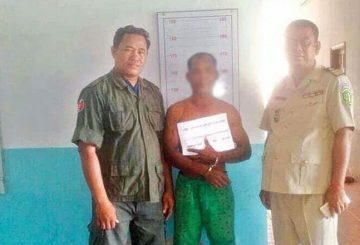 Kampot Police arrest six security guards who allegedly beat a farmer to death. 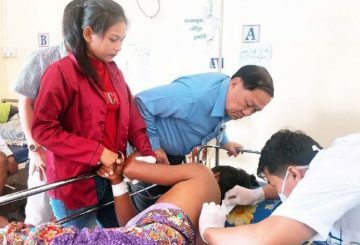 The National Military Police has established a fact-finding commission to investigate the use of firearms during a clash between police and residents over a 71-hectare land dispute in Preah Sihanouk province’s Korky village last week. 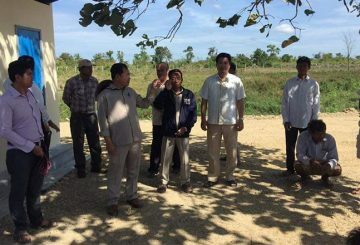 Koh Kong authorities prepare additional land plots in Koh Sdech for 184 families. Preah Sihanouk provincial police release all six people involved in Thursday’s clash with police during a protest. 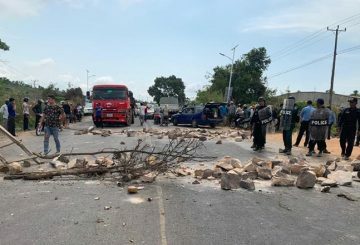 Six people were detained yesterday following a clash between protesters, who blocked a road, and police in Preah Sihanouk province’s Prey Nop district. 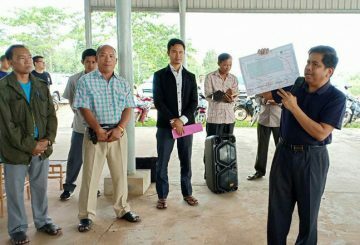 Thousands of families in Kratie province have agreed to end their land dispute with Memot Rubber Plantation Company. 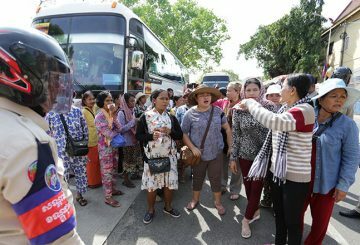 Representatives of residents involved in land disputes in Snuol express fear for their safety following warnings by authorities. 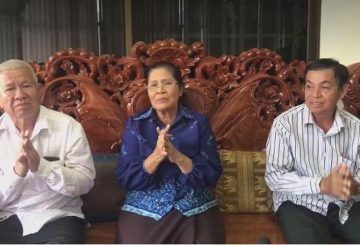 Hun Sinath, a sibling of Prime Minister Hun Sen, has called on Kampot Provincial Court prosecutors to take action against Po Neap, a woman who allegedly used her other brother’s name, Hun San, to win land from villagers in 2005. 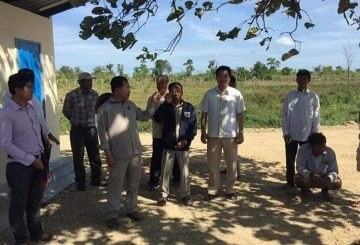 About 1,000 people locked in a land dispute with Heng Development Company demand compensation for their loss of land. 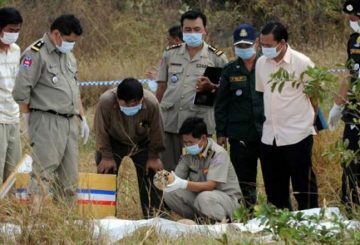 The Land Management Ministry yesterday announced it solved 364 out of 990 land dispute cases reported throughout the country this year, an increase when compared to last year’s 208 solved cases. 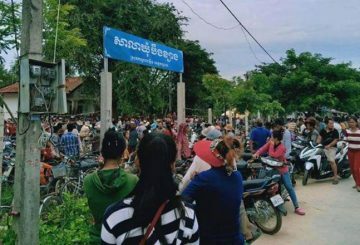 Kandal authorities are handing out money to thousands locked in a land dispute. 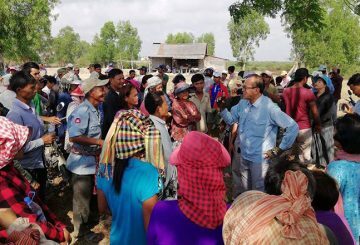 Representatives of about 400 families locked in a land dispute have warned to protest if negotiations fail to yield results. 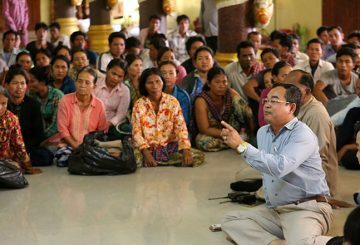 Authorities say 98 families do not qualify to receive Social Land Concessions being granted as part of land dispute resolutions. 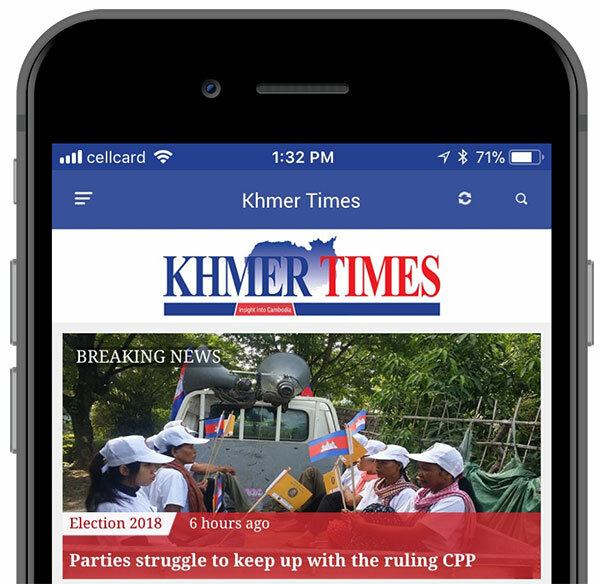 Kratie provincial authorities said that 98 families who protested in Phnom Penh do not qualify to receive Social Land Concessions being grated as part of land dispute resolutions. 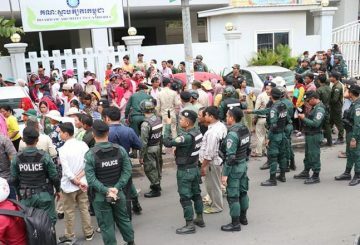 About 40 people attempt to gather in front of PM’s house over a land dispute case with the Union Development Group. 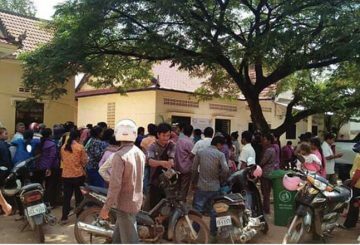 Kampong Speu Provincial Court said the case of Frenchman Laurent Vallier is still being investigated. 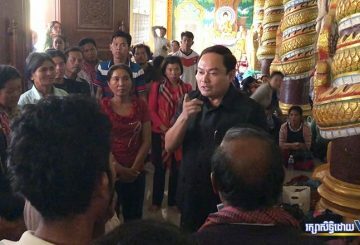 Over 100 people representing families in Kratie rally awaiting a land dispute resolution from the Land Management Ministry. 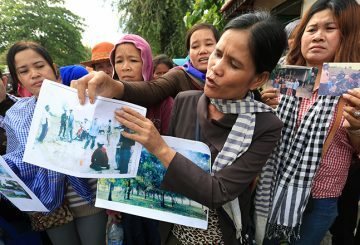 Dozens of Prek Khsach villagers protest to speed up land dispute resolution. 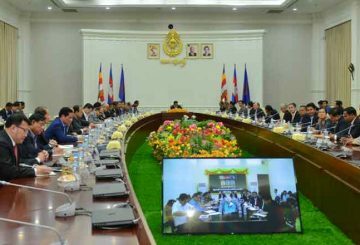 Environment Ministry said legal action will be taken to prevent illegal logging and land grabbing of land in protected areas. 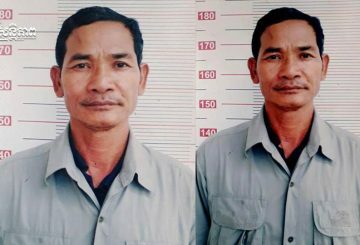 Kampong Chhnang Court charges an ex-soldier with gunning down a businessman. 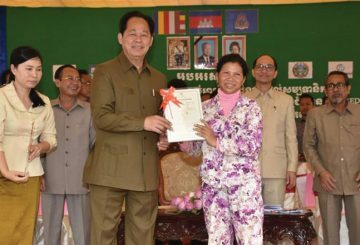 Following her release from prison, land activist Tep Vanny vowes to continue fighting for the Boeng Kak community. 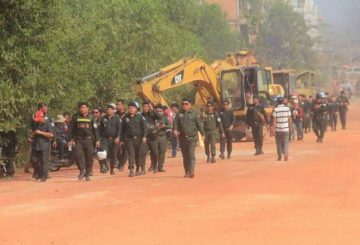 Koh Kong Court sentences a man to 18 months in prison over destruction of property.